Amazon has released a new feature called Brand Analytics under the Reports tab in Seller Central last month. This feature is free and only available to third-party marketplace sellers who are Brand Registered. 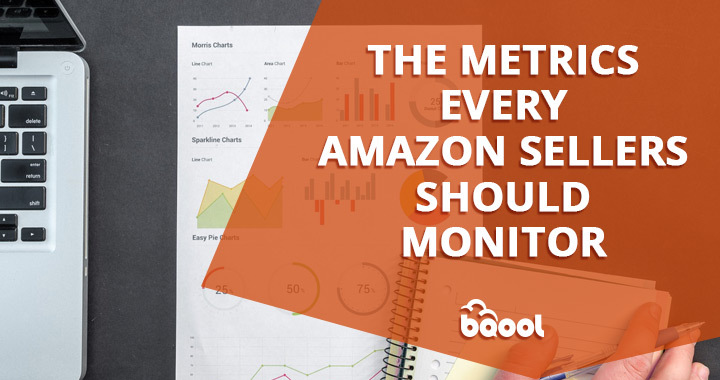 According to Amazon, Brand Analytics is a feature that contains valuable insights to empower Brand Owners to make informed, strategic decisions about their product portfolio and marketing/advertising activities. Sellers who own a brand, or who serves as an agent, representative, or a manufacturer of a brand must be internal to the brand and responsible for selling the brand on Amazon. How does Amazon Brand Analytics work? 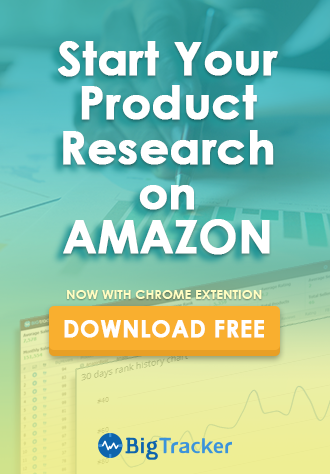 What Amazon Brand Analytics can do? Let’s take “external hard drive” as an example. There are 241 results that contain data including Search Terms and Search Frequency, which represents the relevant keywords and their frequency rank for the given search term. Furthermore, the report also provides click ASIN, product title, click share, and conversion share, respectively, for the top three products. 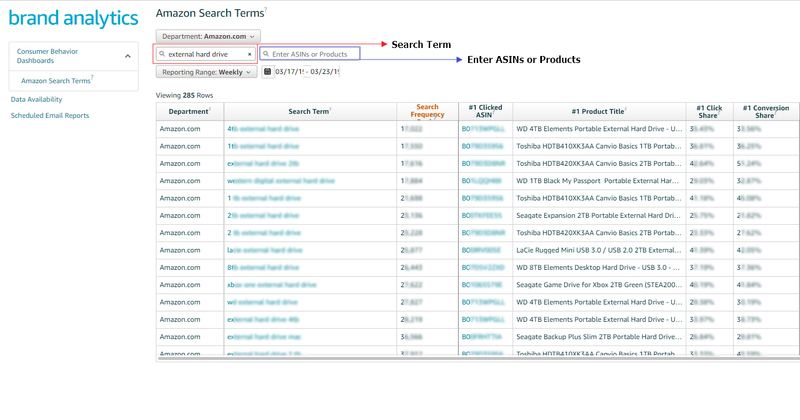 If you search for ASIN, you can see what keywords are covered by a given product ASIN, and which one is a paid keyword and how effective the keyword is in advertising. How does it impact on the market and the sellers? Everything is a double-edged sword. 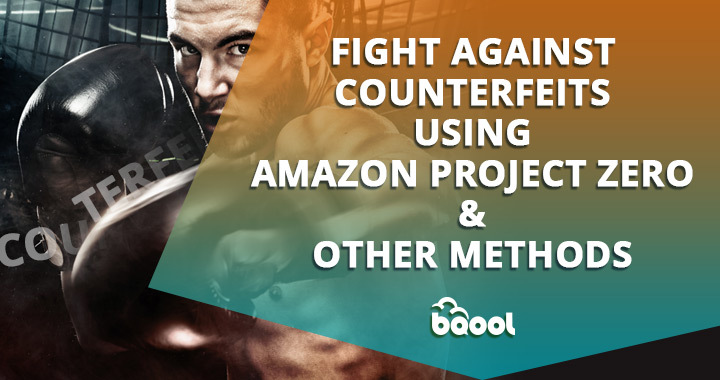 Even though Amazon Brand Analytics can provide valuable information about your competitors that can give you a huge competitive advantage, it also makes more intense competition when everyone knows what everyone is up to. This previously paid data now is available for free, but it is said that free things come at a price. 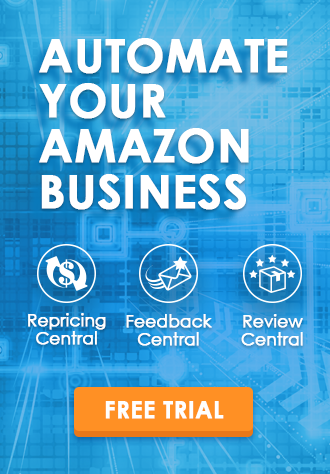 The reason that Amazon makes this move is to drive the brand owners to increase advertising spend on Amazon based on the comparative data provided by the Analytics. What can you do if you don’t have access to this feature? 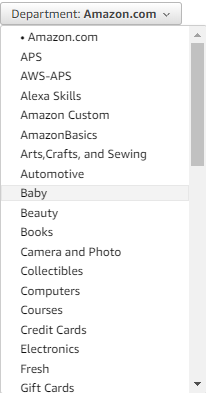 You can learn more information about Amazon Brand Registry and see if you are a seller who is eligible for enrollment here. Or you can find a friend who is an Amazon brand registered seller to help out. 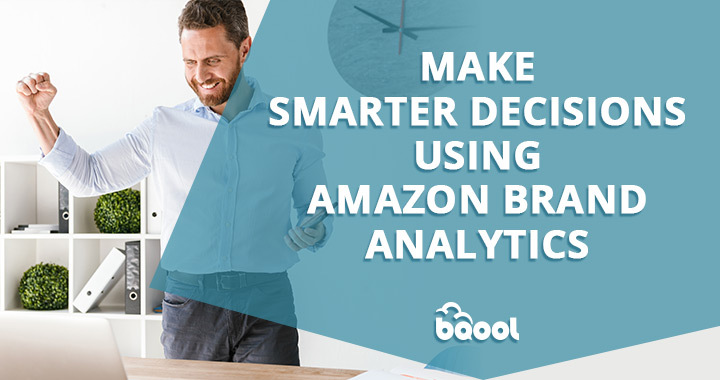 Amazon Brand analytics is a powerful tool that can provide detailed reports to help you make sound decisions when you are creating advertising campaigns on Amazon or setting up ideal budgets for your ads. Beyond this, there are also other opportunities for you to increase your sales and the exposure of your brand, you can also deploy off-site resources such as social media, email marketing, and influencers marketing to drive external traffic to your store.